It certainly looks the part of a "Traditional Coat" you'd wear for work, with that iconic cotton duck shell that endures long shifts. 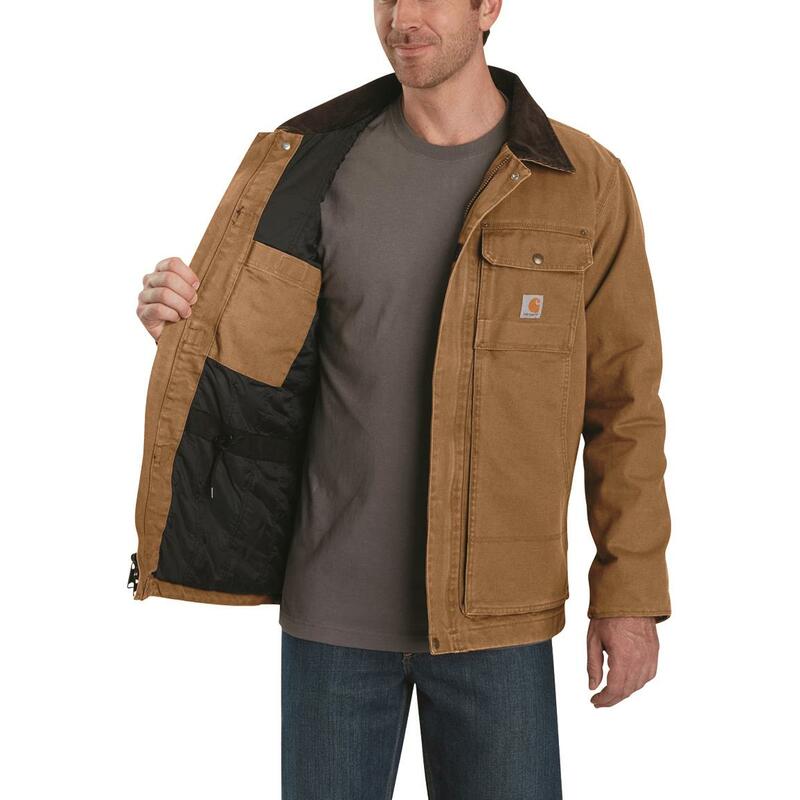 But it packs tools to tackle tough jobs, even when temps dip. 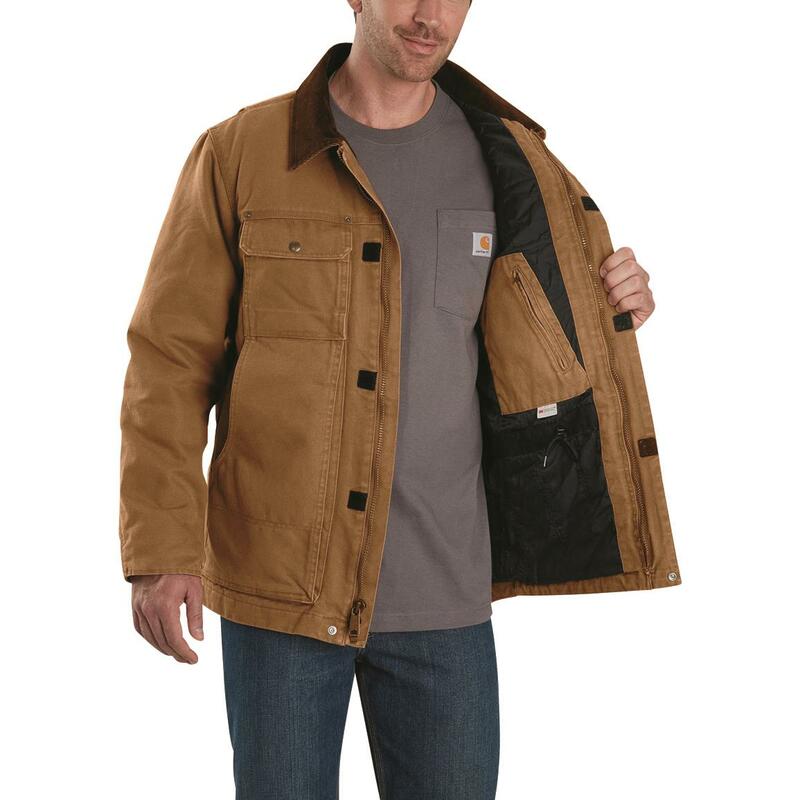 Thinsulate Insulation provides lightweight, bulk-free warmth. 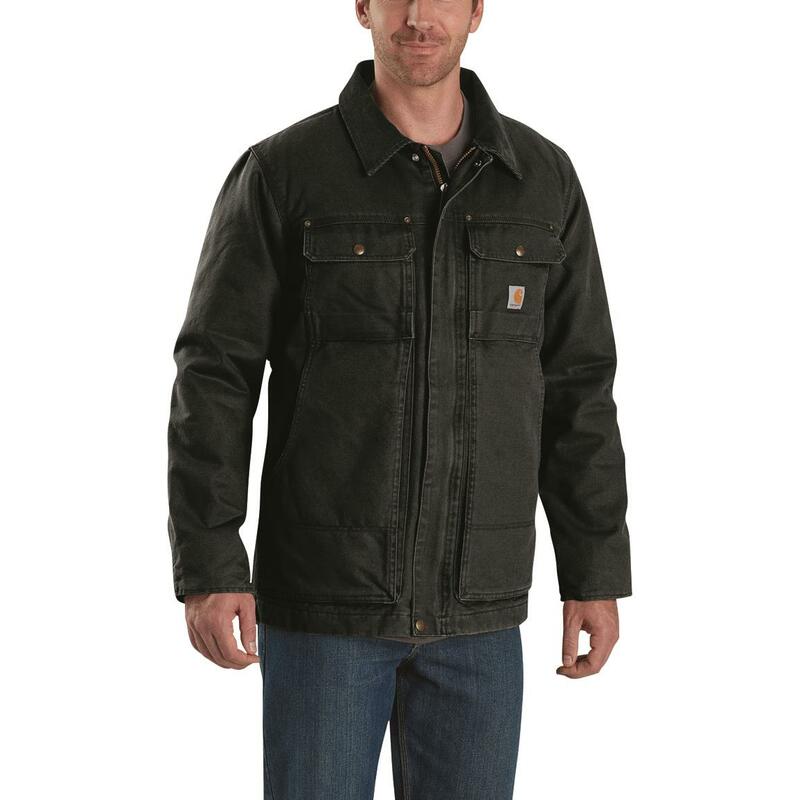 But even though this is an insulated coat, don't think that will slow down your workday. Hammering. Sawing. Crouching. Carrying. Freedom GussetTM under the arm won't hold you back while swinging your axe. Flex ElbowTM means less restriction while slinging rebar over your arms. 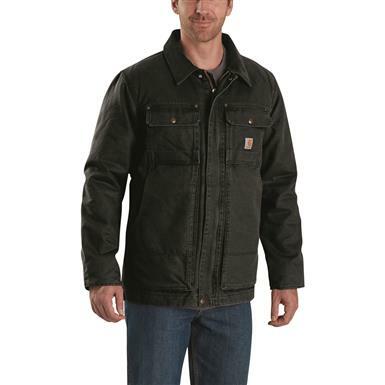 And Mighty BackTM between the shoulders lets you load up the truck without slowing down. So whatever you do, you do it Full Swing without the Coat holding you back. 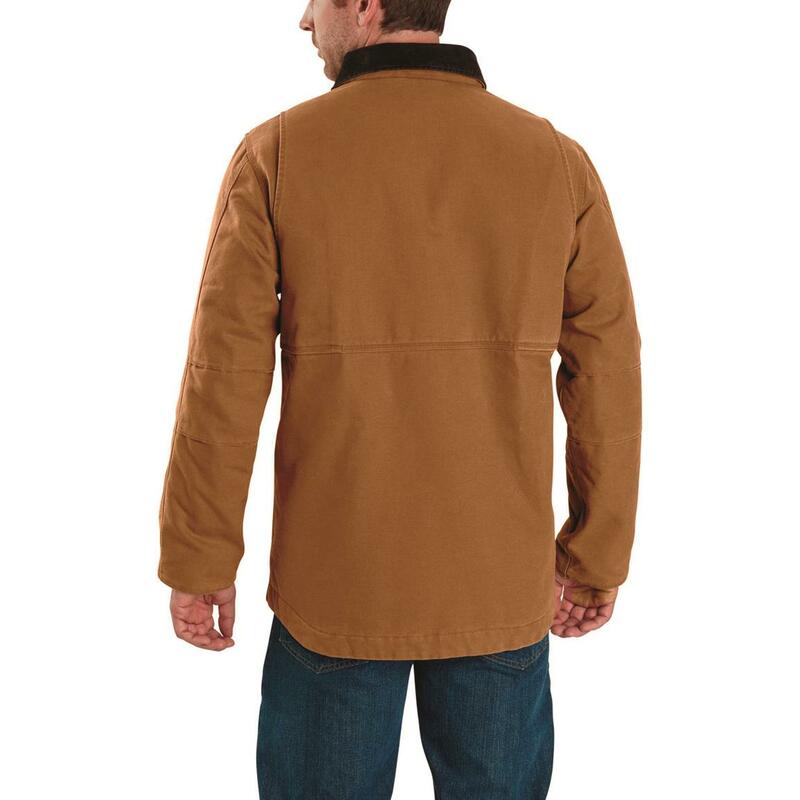 Make this Coat your new tradition…order today!